Christopher McIlwain’s Civil War Alabama is a landmark book that sheds invigorating new light on the causes, the course, and the outcomes in Alabama of the nation’s greatest drama and trauma. 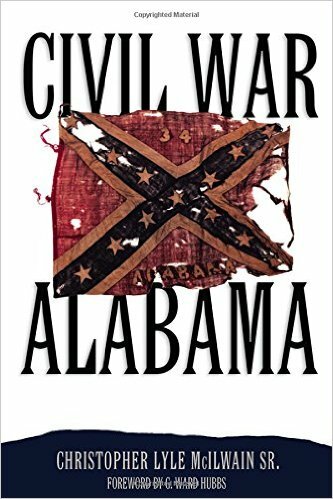 Based on twenty years of exhaustive research that draws on a vast trove of primary sources such as letters, newspapers, and personal journals, Civil War Alabama presents compelling new explanations for how Alabama’s white citizens came to take up arms against the federal government. A fledgling state at only forty years old, Alabama approached the 1860s with expanding populations of both whites and black slaves. They were locked together in a powerful yet fragile economic engine that produced and concentrated titanic wealth in the hands of a white elite. Perceiving themselves trapped between a mass of disenfranchised black slaves and the industrializing and increasingly abolitionist North, white Alabamians were led into secession and war by a charismatic cohort who claimed the imprimatur of biblical scripture, romanticized traditions of chivalry, and the military mantle of the American Revolution. And yet, Alabama’s white citizens were not a monolith of one mind. McIlwain dispels the received wisdom of a white citizenry united behind a cadre of patriarchs and patriots. Providing a fresh and insightful synthesis of military events, economic factors such as inflation and shortages, politics and elections, the pivotal role of the legal profession, and the influence of the press, McIlwain’s Civil War Alabama illuminates the fissiparous state of white, antebellum Alabamians divided by class, geography, financial interests, and political loyalties. Vital and compelling, Civil War Alabama will take its place among the definitive books about Alabama’s doomed Confederate experiment and legacy. Although he rigorously dismantles idealized myths about the South’s “Lost Cause,” McIlwain restores for contemporary readers the fervent struggles between Alabamians over their response to the epic crisis of their times.